Running four times a week means I’m in sports clothes a fair bit of the time. 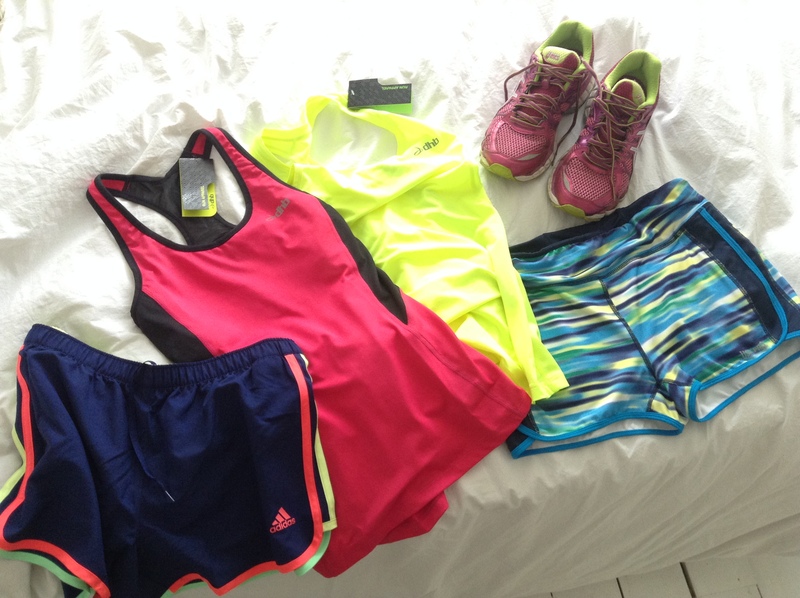 Wearing bright cheerful kit, which I like and feel good in is, quite simply, nicer – plus it genuinely improves the physical experience of running to have clothing that draws sweat away and provides support for all the bits that jiggle when you move fast! So whilst I definitely endorse the no-frills benefits of running, I’d also suggest that you pop some fun things on your birthday or Christmas list too, so that the people around you who are already encouraging you to get out there can boost your motivation through the medium of synthetic fibre… Good places to browse are online shops like Wiggle, and high street stores like Sports Direct and TK Maxx, all of which usually have massive reductions on quality kit. So as motivators go: yeah, shopping is a bit frivolous. But every now and again a new piece of kit can refresh your sense of energy and excitement in the pursuit of serious discipline and growth. Lure yourself out of the door through the sheer force of fabulousness! Posted in Lifestyle, Motivation, New Habits, Running, Running Kit, TrainingTagged Motivation, Running, TrainingBookmark the permalink.